Holley designed these throttle bodies with all relevant emission provisions and hook-ups for a true 50-State legal installation. They are engineered for a “bolt-on” installation on stock factory manifolds for the applications cataloged. The one barrel throttle bodies have been assigned California Air Resources Board (C.A.R.B.) Executive Order (E.O.) number D-115-4. 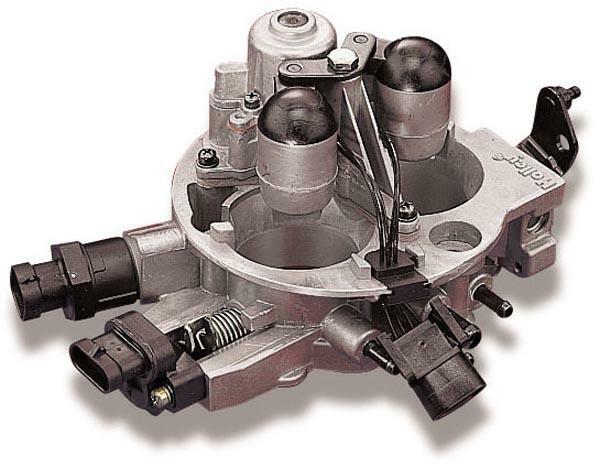 The two barrel throttle replacement bodies are considered to be the functional equivalent of the original equipment throttle body and, as such, are considered to be 50-State legal. Therefore, the C.A.R.B. E.O. number is not required.